The stock market is now closed for 2009, and it has been a very good year. The FTSE250 is up by 46.31%, the FTSE100 is up by 22.07% and the All-Share index is up by 24.96%. Impressive returns, but nevertheless all three are down from the end of 2007 thanks to a terrible 2008. Meanwhile, Cassini’s Sports Handicapping Investment Trading operation is happy to report a 2009 profit 11.68% up on 2008, with only one calendar month (April) showing a loss. The best months were January, February and June. 67.15% of the year's profits come in the first half of the year. Not sure why this is, with most sports I trade being split fairly evenly between the two halves of the year. The only exception really is American Football, and it is true to say that this season has been a challenge. Also down from 2008 are the profits from Golf, Football, Cricket, Tennis, Ice Hockey and Horse Racing and of course a full year of the Premium Charge has had a big negative impact on profits. Increased profits come from Basketball, Rugby League, Rugby Union, Formula 1, Aussie Rules and 'Other' (Academy Awards, Snooker, Handball, Volleyball etc.) as well as a Baseball season where the play-offs rather pleasingly seemed to see comeback after comeback! So overall a pleasing total, but as my school reports often said, 'could do better'. A New Year brings new opportunities however, and a steadier approach to football should see 2009-10 end in profit. A loss of £1,758.18 on a stupid gamble on the FA Cup Final still hurts, but the lesson there has been learned. January was my best month of 2008 and 2009 and while it would be nice to start 2010 off with a big month, I am aware of the danger that high expectations can lead to poor decisions. If the value is there, I will be taking it, if not, I will be leaving it. My discipline is pretty solid these days. So Stock Exchange or Betting Exchange - which investing medium is better – the “respectable” old world of finance, or the less respectable, new world of sports? Perhaps ‘better’ should be defined here. Investing in financial markets probably doesn’t take up almost every spare hour of your life, although I do have friends who spend hours poring over charts thinking that they can find an edge. It’s probably also less stressful to invest in the stock market, for the simple reason that your investments are usually for the longer term, and that you do not feel any sense of blame for a decision that moves against you. The time-frame for sports markets is typically much shorter (not many of us are investing on the 2014 World Cup just yet). The result of your involvement is often known within minutes or a few hours, and those minutes can be incredibly stressful. Is it ‘better’ to make money this way and drop dead of a heart-attack in a few years, or is it ‘better’ to make your money a little slower, and live a longer life? This is a rhetorical question – answers on a postcard are not required. Personally I have learned that staking size is key in regard to the stress level. I honestly cannot give a figure above which I am stressed, but my brain knows when I have over-staked. My fiancée does too – she can tell from my breathing that I am under stress! (It's more of a concern to me when it stops altogether, but touch wood, I should be good for another year at least). To complicate matters still further, the amount that triggers this reflex isn’t fixed. I can be comfortable with a certain amount at risk in one situation, but very uncomfortable with the same amount at risk in another. This is all due to my perception of how much value (if any!) I feel I have. When you invest in the more traditional financial markets, you can have no real expectation of consistently beating the stock index averages. You might get lucky one year, perhaps even for two, three or more years, but as described in the book “Fooled by Randomness“ by Nassin Nicholas Taleb, sooner or later you will revert to the mean, unless of course you have an edge, which in financial markets often means ‘inside information’, which in turn means you are acting illegally. Essentially you put your money onto the stock market and the returns, positive or negative, are out of your control. Anyone who claims to be able to predict market tops or bottoms is talking nonsense, and usually trying to sell something. It’s different with sports. It is definitely realistic to expect to be able to make a profit from sports investing, if you are willing to put in the time. Too many people think that there is a magic system out there, that they can easily make 1% a day. Of all my 442 posts since I started this blog, it’s interesting that the most popular in terms of comments is the one offering free betting systems. The post was written in November 2008, and the latest request was added just yesterday. Has anyone made their fortune from any one of these ‘systems’? I seriously doubt it. They don’t work. That's why I give them away. Again, anyone who claims to be able to give anyone a winning off-the-shelf system is talking nonsense, and usually trying to sell something. What there is, are certain patterns in markets that are predictable, and which repeat time and again. It is important to constantly remind yourself that the sports markets are driven by the same human emotions as the financial markets – fear and greed. The odds are not precise. The in-play markets in particular often offer up good value. And if you are in any doubt, remember that you are under no obligation to get involved. Patience is a virtue. There will always be more opportunities coming along. Maintain a cool head after a ‘significant event’ (see previous post) and you can find value. Value doesn’t always win, but with it you will be ahead in the long-term, and without it, you will soon be broke. I shall continue with my slow and steady investing of 10% of all income in the stock market, I shall also continue to invest on the exchanges during 2010. Apart from the reasons already listed above, there can’t be many more pleasing ways of making money than from sports, but I shall try to take a little more time away to enjoy life this year. I'm sure I've said before, but setting goals and targets and recording progress is very motivating for me. 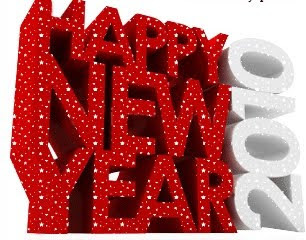 Good luck to all in 2010. I am a little behind with all my Elo ratings after the Xmas break. As much as I love my parents, it is incredibly frustrating to be without Internet access as well as most of the TV channels I need. 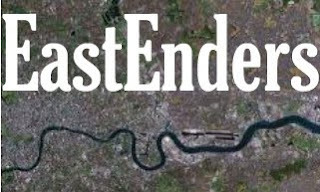 If I wanted to watch hours of Emmerdale, Coronation Street, Hollyoaks, Crossroads or Eastenders, then I would be good to go, but I really don't. I shall get caught up on everything over the long weekend, and with half the football season in England to go, try to start 2010 off on the right foot with some spot on predictions. A commenter on my last post asked why I was confident in the services of the Football Elite tipping service, and the answer is that their past results as recorded on JP's Betting Blog are impressive, and that I do believe there is value to be found in such liquid sports as football if you put the effort in to find it. I do also find it interesting to compare someone else's selections with my own, and at £99.99 for six months, (£3.85 a day), it's a small price to pay for a little added interest, and if it proves lucrative, so much the better. If it doesn't prove lucrative, then I shall discontinue the service tout de suite, as we say in Walford. I read posts on here from smartarses who bang on about ‘needing an edge’ to make it on Betfair, as if this mystical, intangible ‘edge’ empowers them as some kind of superior being. Bulls***. You don't need an edge on here, any more than a shopkeeper needs to sell things for more than he paid for them. Given that the poster does 8-fold accas and then bemoans his luck when one result doesn't come in, he clearly doesn't have a clue about value. As well as increasing the over-round against the punter, accas have another hugely undesirable effect which is that they remove control over staking. If your starting bank is £10, would you really want to win the first 7 bets and have perhaps £1,000 riding on Chelsea to beat Fulham? Profitable punting is as much about bank management as it is about selections and prices. Football is prone to unpredictable results because a feature of the game is that it has a "low incidence of highly significant events". A single event can have a huge affect on the outcome of the game, and such events are normally highly unpredictable. Penalty decisions, missed chances, goals, sending-offs etc. Rather than whining about this, the poster would be better served by using this knowledge to his advantage. If you see that the Big Four at home when priced at 1.25 are only winning 70% of the time, don't complain about it - make money! Football Elite have been on the wrong side of some "highly significant events" recently over the holidays, with their 7 recommended bets yielding 3 winners, 3 draws and one match postponed - a small profit of 1.73 to a 10 point stake. Their short-list selections were less successful with 11 selections yielding just 2 winners, along with 6 draws, 2 losses and one postponement. A loss of 50.74 to a 10 point stake. My month long free trial is over, but I am happy to pay for the next six months, confident that value is being found, even if an abundance of draws is currently handicapping their profits. This may be my last post for a few days, unless my parents have moved into the digital age which, given that they are yet to fully master the complexities of the front door bell, is highly unlikely*. I may escape for a couple of days to the peace and tranquility of north Devon, but a B&B with Internet access? Not to worry - a break from it all isn’t so bad, and I’ll be back before the end of the year, closing out 2009 and raring to get off to a good start in 2010. 2010! My, how the millenniums just fly by as one gets older. Is it really 10 years since that night of revelry on the Thames when the current one started? Well, no it isn’t actually. Contrary to public opinion, 2001 was the first year of this millennium and not 2000, but never let the facts get in the way of a good party! Enjoy the holidays and stay warm. 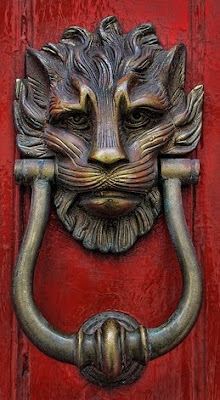 * It's a little known fact that the inventor of the door-knocker actually received a No-Bell prize for his efforts. Some good results today, with three of the nine games finishing exactly as forecast, and the winner correct in three more. Football Elite had a couple more short-list selections, one was winners Birmingham City (2.35) but the second could only draw (Valenciennes at 2.23). Nevertheless, a nice profit on the day. I'm aware that footballers are not generally considered to be the most intelligent group of people on the planet, but does it not occur to Jamie Carragher that IF, and it's a big IF, let's be honest here, the universe was ruled by an omnipotent, omniscient and omnipotent deity, he (or she) might well have more important matters to attend to than the fortunes of Liverpool FC, even if St John did once play for them. Liverpool defender Jamie Carragher is praying that there are good times around the corner as the off-colour Reds look for an upturn in fortune. Sunday's luckless 2-1 home defeat by Arsenal means that Liverpool have now won just three times in 15 matches. "I pray that we win the FA Cup, Europa League and get in the top four," Carragher told BBC Radio Merseyside. Anyway, given the state that the club is in, I'm not sure even a god can help them right now. If you follow JP's blog listed on the right, you will know that he has pretty much ended the year with a net profit of somewhere around £30,530. Not too shabby. As JP says, he'd have happily taken that number at the start of the year, but being human, it's how we arrive at the final total that determines how we perceive it. A 3-3 draw in football is great if you were 0-3 down at one time; not so great if you were 3-0 up. Two people could each have a net worth of a million pounds, but if one has arrived at that figure after inheriting £10 million a few years ago, and the other by starting with nothing but investing wisely, who is the happier? In JP's situation, he peaked in late October, but then had a dismal run from then on, so it's natural and understandable that the end of his profitable year is accompanied by a feeling of some disappointment. I'm guessing that Tiger Woods knows the feeling. It could be the time of year (i.e. no flat racing) or it could be time to clear out a few tipsters. Anyway, following his blog and results has certainly been interesting and I hope he comes back in the new year with continued success. My 2009 has been a little more steady, with just one losing month back in April, although the cause of that one still hurts, even eight months later! Of course, December is not over yet, so I should probably not tempt fate, but my last losing December was back in 2005 when I was still something of a novice. My style is obviously significantly different from JP's, for one thing my interest in horse racing is almost zero, whereas for JP it's his main focus, and it is less than a month ago that I signed up for my first tipping service (on the back of the results JP was achieving) whereas JP uses them heavily. With the exchanges, there are clearly many ways to make a profit, and we all concentrate on the methods and style that suits us. The final two picks from Football Elite today were Sampdoria (2.57) and Gijon (3.45) but the former could only draw at home to Roma, while the latter lost 0-1 at home to Sevilla. Including 5% commission, their recommended bets are now 3 wins, 6 draws, 2 losses and a loss of 34.97 to a 10 point level stake, but their short-list selections fare better at 7-5-2 with a profit of 79.99 to a 10 point level stake. Overall 10-11-4 (+45.02). When I look back on my spreadsheet in years to come, the total for yesterday, a profit of £3.55, will be quite unremarkable. Hidden behind that number however, is much drama. Losses on the Premier League games, wins on the Scottish Premier League, losses on basketball, wins on basketball and finally wins on ice-hockey. The bottom line is all that matters, but it makes for a roller-coaster of a day when the biggest single market loss exceeds £960 yet somehow the day ends in profit. There's always the 'if only' feeling, but of course you never know when the winners will come or when the losers will come. All you can do is keep investing when there is value and take the wins and losses in your stride. It would be wonderful to invest, make 1% a day, and repeat, but investing doesn't work this way for sports or financials. The stock market has been great overall this year, but last year was a nightmare with some huge daily swings both up and down. In sports, even though you might be confident that you have an edge, within any long sequence of investments, there are going to be some dispiriting sequences, but also there will be runs where it seems nothing can go wrong. The key is to stay detached from individual outcomes, to be grateful that opportunities arise even if they end up as losing bets, and stay the course. Changing strategies after a losing run can be costly. Inevitably, losing runs end, but if you have moved on to another method, then you miss out on the gains when they do come. There's probably no better example than the stock market. A bull market picks up steam, the world and his uncle jump in, and everyone in the pub becomes an expert in pricing up shares. Suddenly the market turns, loses several percent in value and the world and his uncle give up and sell, just before the market turn back again, and the whole cycle is repeated. What the world and his uncle should be doing is the opposite. Buying when the market is flat and getting out when the market is flying high for no apparent reason. There are a number of blogs or forum posts out there that set ridiculous targets such as making 1% a day, and which all inevitably fail. They are quite boring actually, with none of them ever mentioning how the author thinks he is finding an edge. No staking method in the world will make a coin-toss system profitable if the price on each outcome is 1.9. It speaks volumes for the optimistic nature of gamblers I guess, that so many people think that the laws of probability somehow do not apply to them. The Football Elite service had one recommended bet yesterday, which was Stoke City who came up short against Wigan Athletic. On the one-hand, Stoke gave up a wonder goal, but on the other-hand they were lucky not to lose when Wigan missed a penalty. In their short-listed selections, they finished with three winners from six, but their pick of Bari at 4.7 v Juventus ensured a nice overall profit. Perhaps Borussia Moenchengladbach's 5-3 win over Hannover 96 (at 2.19) was a little fortunate - Hannover conceded no less than three own-goals in this game! Birmingham rounded up the winners at 2.18, with Burnley (2.78), Hull City (3.05) and Cagliari (2.41) coming up short - the latter thanks to a 96th minute equaliser. Although not all selections were winners, not one was a loser so a conservative laying system could offer a low-risk steady income. Today they have three recommended selections. So far Mainz 05 is the only completed game, and they drew 1-1 with Stuttgart at 2.81. Updates on the other selections later. I suppose it had to happen. The one week where my calculations fail to select a single EPL game to finish as a draw, and no less than six of nine end level. Predicting the precise margin of victory rather than just a winner is of course ambitious, which is why a result one goal off isn't cause for concern. However, when four teams are selected to win by at least two goals, and none manage to win at all, that really is disappointing. Five of the nine games had the result within one goal of the expected result, but Chelsea, Manchester United, Sunderland and Spurs all failing to win? Only Birmingham v West Ham was spot on. The Championship was slightly better, 3 correct, 5 within one from 10 games, but League One again proved best in England with only one game of 12 (Bristol Rovers v Swindon Town) being wrong by more than one goal. However, the best results were in the Scottish Premier with 4 of 6 games correct. For what it's worth, Middlesbrough v Cardiff tomorrow is expected to be a draw. Not a single draw predicted, but the games at Liverpool and Burnley are the most likely to finish that way. As I have written before, in basketball a seemingly insurmountable lead can soon vanish. In the just ending Utah Jazz v Orlando Magic game, Orlando were at one time 18 points up, but with over half the game to go. Utah came back, as home teams often do, and won by nine. 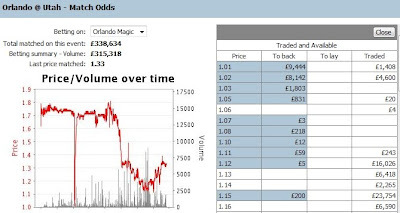 Before the game had even started, some poor (even poorer now) fool put £3,000 on the Magic matched at 1.01 and 1.02, ouch. I'd been having another of those runs where nothing seems to go right. If I am on the team trailing by 1 with the final shot, they miss it. If I am on the team that's ahead, they concede. Of course, it just seems this way, and in the long run all is well, but it can be immensely frustrating, especially when the Premium Charge rears its ugly head again on the bag of a painful loss. Anyway, the ship was righted with Utah's comeback and since betting is a little like basketball in that it is often about momentum, perhaps a good weekend lies ahead. On to football and my non-League team seem to be shooting themselves in the foot. Losing their manager to a bigger club was probably unavoidable and unfortunate, but Kettering firing the assistant manager after the FA Cup replay at Leeds was an awful PR decision. I will not be at Rockingham Road this Saturday for the Barrow game. What I shall be doing from next week is taking a few days away for Xmas, visiting family, opening generous gifts, and readying myself for my best month of the year. A visit to Layer Road is also on the cards, one of the League grounds that I have yet to visit. Speaking of Colchester, and their game at Brighton tonight is forecast to be a draw, but a 1 goal home win wouldn't be a surprise. A nice weekend on the football again, with no less than 4 of the 10 Premier League games finishing exactly as expected. Manchester United won by 4 instead of 3 which was pretty good too. The only real disappointment was Chelsea at Manchester City. Portsmouth were a no-bet under the 'new manager' rule, and Liverpool's form continue to under-perform their ratings making them a risky bet. The three intra-group games produced two unders and one draw, and backing both those options in these matches continues to be lucrative. Football Elite had another good weekend. For those not familiar with the service, they have their recommended bets, and also provide a short-list of bets that didn't quite make the cut. I have been backing all the selections, with the exception of teams at greater than 5.0 where my strategy is to lay the opposition. This paid off for me in the Blackburn v Liverpool game when I layed Liverpool at 1.88 rather than backed Blackburn at 5.2 from the short-list. The recommended bets this weekend were Nice v Marseille @ 3.7 (L 1-3) and Fulham v Sunderland @ 2.19 (W 1-0), with the other short-list selections being Valenciennes v Monaco @ 2.26 (W 3-1), Deportivo v Barcelona @ 5.9 (I layed Barcelona, but they won 3-1) and Bologna v Udinese @ 2.82 (W 2-1). Back to my own ratings, and I am now tracking each division's results to see where the expected and actual results are closest. Currently the numbers look best for Leagues One and Two with correct forecasts to date at 31.58% and 29.73% respectively. * I was being silly about Wanderers - Wolves by 1. "We want them to reach the final and lose on penalties. If they win, we would be bankrupt, although we've had 43 years to save up for it." Bankrupt? If I were a betting man, I would risk a fiver on the bookies somehow surviving such a 'catastrophe'. After a poor start to last month, results did improve towards the end, but November still finished below the average for November, and as a result November drops to third in my list behind January and March. There were probably three occasions when a little luck would have made a big difference, but as I have written before, having value doesn’t mean having winners, but if you are finding the value, the winners, and profits, will come. One of the more pleasing things emerging from the month was the improvement in my football betting. I am confident that the Elo rating system is performing better each month as it settles down from its major overhaul from a couple of months ago, although I seem to be keeping more and more data as each week goes by. Some of you may have noticed that included in the blog roll on the right of this page, is JP’s Betting Blog. JP subscribes to a number of tipping / advice services, and to date is nicely in profit from them. Some of the swings in fortune are a little too much for my delicate stomach, but for the most part JP sticks with the tips he is given, and has the balls to never lay off. Back in the summer, he had a decent bet on a long-shot in golf (60-1 or so I think), and when the player was trading at close to evens on the final day, I imagine most of us would have chosen to lock in a healthy profit, but not JP. He let the bet run, and it paid off for him. Anyway, most of his services are for horse-racing, and are of little interest to me, but also included is one called Football Elite which is, as some of the sharper minds amongst you may already have guessed, a football tipping service. Football-Elite cover games in not only England, but also in Italy, Germany, France and Spain (possibly more) and I’ve been keeping an eye on some of these results for a while now. While I spend hours trying to find value on the English games, I don’t have time to study overseas leagues, but Matt does, and manages to achieve consistently good results. So last week, I took the plunge and signed up for the service – something that I have never done before. The first selections were for games this past weekend, and we’re off to a good start. Of the five final selections, two won, (the other three all finished as 1-1 draws) but two of the four from the short list also won, including Cagliari at 4.1 resulting in an overall small profit. Vallodolid should have also won, but managed to throw away a 3-0 lead at home and draw 3-3, but certainly Matt seems to be finding value, and on another weekend, the selections could have been even more profitable. Watch this space for how the service adds to my bottom line. Some of you may remember me writing about another of JP’s services, one called The Form Analyst which caught my attention in the early days when the very personable Graeme offered a free trial, had terrible results, and then decided to go live with it anyway. It seems that after a miserable run, Graeme has called it a day. I remain convinced that without inside information, betting on horses is not the way to go. A fine day today. No Premium Charge, despite a profitable week. A few arbs, and by the narrowest of margins, I have escaped its clutches, at least for a week. From today's Daily Telegraph, and poor old Ed Wray is upset about taxes. A pity that Betfair don't feel the same way about the Premium Charge, a tax on success whatever you care to call it.